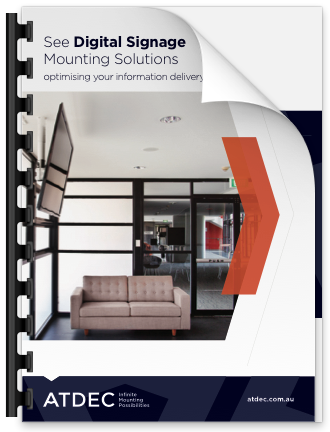 Menu board mounting solutions can be tailored to provide advanced information delivery across retail environments, small and large. Modular systems can be configured to specific project needs with ease of installation and maintenance. Menu board solutions are available in three preset extrusion lengths that can be joined indefinitely. 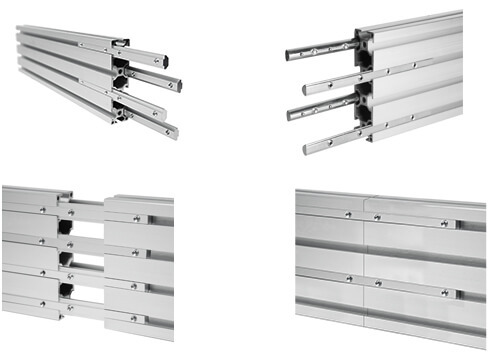 More customized lengths can be achieved by combining 19", 26" and 68" mounting rails and/or cutting them to your requirements. 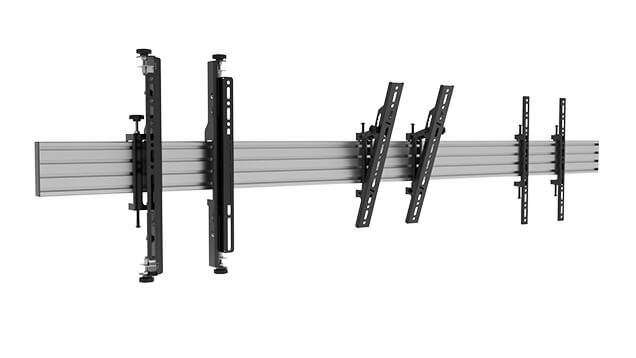 The ADM-RX is an extension kit used to join mounting rails together to create larger menu board wall installations. The kit consists of 6 steel couplers that provide great strength to the joint, making the finished rail act like a single piece. Menu board solutions use modular components that are interchangeable and upgradeable. Browse just a few popular pre-configured solutions to get you going.